and keep them comfortable and relaxed. 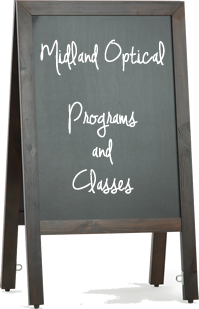 Welcome to Midland Optical! Where “We do more” isn’t just our company tagline, it’s our company culture. Midland Optical is a leading optical lab committed to supporting your eye care practice in ways that exceed your expectations for service, performance and quality. Our customers know the value we add to their business. With quick turn around, quality assurance and outstanding customer care, Midland Optical is the lab for you. In fact, Midland Optical has one of the highest customer loyalty ratings in the country. Midland Optical strives to exceed your expectations every day. Our focus on technology means your practice stays on the leading edge of materials, technology, products and processes. With an in house Anti-Reflective Coating room and two state of the art digital surfacing centers, we offer quick service and ensure premium quality on the best-selling lens options available today. Our competitive advantage is just one of the many reasons our customers keep coming back. Contact us to learn how our people, products and continuing education classes provide more to our customers and see the Midland Optical difference today! Midland Optical has been much more than a vendor lab over the years. Instead they are very much a business partner. Providing quality products and service is just part of it. They have also been responsive to our needs, have helped in staff training from time to time, and they regularly provide us data to help better manage our optical. Using Midland Optical has made us one of the best ECP's in our area. The quality, customer service, and relationships are the reasons we will continue to succeed. We have partnered with Midland Optical for more years than I choose to admit. Midland seems to be always striving to have the best technology in the region. . If you have a question or need some special help call the Customer Service. There are several young ladies to help with your questions or situation. If you look at Midland Optical you will find a number of family members. Midland Optical been more than just an optical lab. Midland Optical made some blue tinted wiley x 7x28 for me for a patient who has Fuches Desease. She hasn't been able to see anything for 3 1/2 years. This morning she picked up her glasses and she puts them on and she had the biggest smile followed by tears. She says you have 2 eyes and a nose! Oh there's clouds and she was able to walk unassisted for the first time in years. No lab has been able to give her her sight back in years and you all have done that for her! Resources to help you go further, faster with Midland Optical! 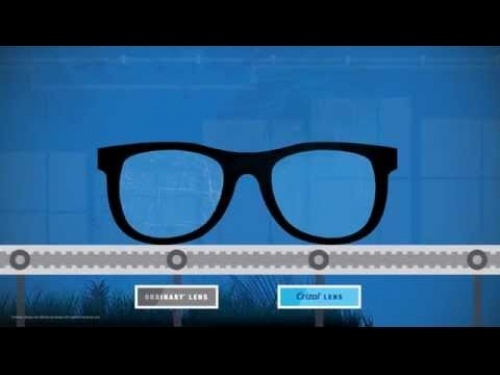 Take a stroll through Essilors' animated test factory to see how Crizal lenses compare with ordinary lenses. Sign up to hear the latest from our company by joining our newsletter program below.